“What supplements do you take?” This all too common question can be heard in gyms all over the world. As a strength and conditioning coach for a very upper class high school, I got asked so many questions about what are good supplements to take and where to get them. Most of these athletes had parents who were willing to dish out the cash for anything to make their kid the next super star athlete. I answered questions varying from protein powders, to creatine and even to testosterone boosters. (Yes, high school boys asking about how to boost their testosterone, like they need it…) The first thing I would do when asked these questions was to ask a question of my own. “What does your diet look like?” Some common answers were, “Well, I didn’t eat any breakfast” or, “I had a pop tart” and even, “I go to Burger King after practice everyday”. Needless to say, this was about as far as I went with them about what supplements to take. They are called supplements for a reason. Supplements are intended to supplement your current diet! If you aren’t eating healthy already, there is no reason to supplement anything. A car cannot run on fuel injection fluid alone, it needs quality gasoline first! Don’t get me wrong, I have tried many supplements over the years, and mostly have just wasted my money. To answer the opening question truthfully, my current supplement “stack” is the following. These supplements are all I take, and not even on a daily basis for some of them. Most “performance supplements” out there are a waste of money and essentially just sugar and caffeine to get you wired. Multivitamins are probably the most commonly used supplement in the world. Essentially they provide the proper amounts of most micronutrients to meet our recommended daily intake (RDI). Most commonly, multivitamins are recommended as a sort of “back up” to your daily diet. While you should try to get your proper micro nutrient intake from real foods, not everyone is perfect, and a multi vitamin may help. The most important thing to be sure of is that you are not getting a high amount of a certain micronutrient already in your diet, and adding a supplement for it on top. With some micronutrients, this may lead to a toxic overdose which can come with many ill effects, depending on the vitamin or mineral. Multivitamins are also helpful for special populations. For example, women of childbearing age need to be sure to get enough iron (18mg) in their diets. Special women’s multivitamins are made with extra iron, and calcium in them. Another example would be a vegetarian or vegan. Those two diets are commonly low in the readily available form of iron (known as heme iron) and also the important vitamin B12 (2.4 micrograms recommended). Do you need a multivitamin? Maybe. The best way to check this is to track your diet using http://www.mypyramidtracker.gov/ or another form of dietary analysis to see what your intake looks like without a multivitamin. 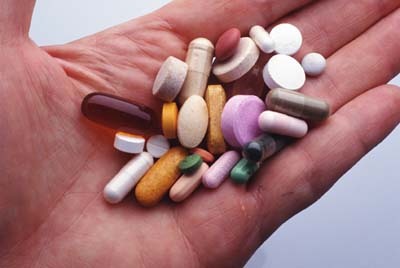 Then assess if a multivitamin would be helpful, and lastly always ask you doctor or even better, a registered dietitian. Omega-3 fatty acids have been shown in epidemiological and clinical trials to reduce the incidence of (cardio vascular disease) CVD. Large-scale epidemiological studies suggest that individuals at risk for (coronary heart disease) CHD benefit from the consumption of plant- and marine-derived omega-3 fatty acids, although the ideal intakes presently are unclear. Evidence from prospective secondary prevention studies suggests that EPA+DHA (the individual fatty acids that make up fish oils) supplementation ranging from 0.5 to 1.8 grams per day (either as fatty fish or supplements) significantly reduces subsequent cardiac and all-cause mortality. For alpha-linolenic acid (found most commonly in flax seed), total intakes of ≈1.5 to 3 grams per day seem to be beneficial. These recommendations can also be met by consuming flaxseed, walnuts, and fatty fish (salmon, tuna, swordfish) at least two times per week. Consumption of a variety of fish is also recommended to minimize any potentially adverse effects due to environmental pollutants and, at the same time, achieve desired CVD health outcomes. The research behind vitamin D supplementation is still growing, but what has been found is interesting. Vitamin D deficiency was first found to cause the childhood bone disorder known as rickets. Since the fortification of milk, rickets is fairly rare in the developed world. When most people think of bone health, they think of calcium. 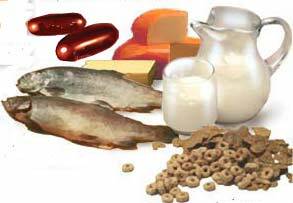 While calcium is very important for bone health, vitamin D is just as important. 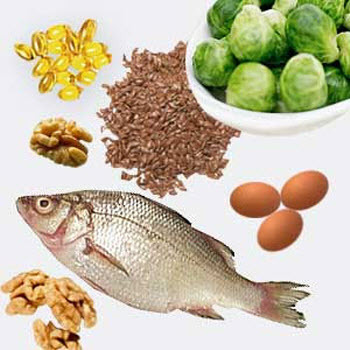 Vitamin D stimulates calcium absorption from the diet and can play a huge role in overall bone health. Bone disorders such as osteoporosis and osteoarthritis, along with an increase in bone fractures, are most common among postmenopausal women. As you may know, our bodies can naturally produce sufficient amounts of vitamin D via sun exposure. However, the farther north or south one is from the equator, the less sufficient the expose is to the proper UV light of the sun. Season, time of day, length of day, cloud cover, smog, skin melanin content, and sunscreen are among the other factors that affect UV radiation exposure and vitamin D synthesis. Vitamin D has other roles in the body, including modulation of cell growth, neuromuscular and immune function, and reduction of inflammation. The upper limit (or the limit that one should not exceed) tends to vary in the research. The current upper limit is set at 2000 IU (international units) per day. More current research has shown that the upper limit could be set at high as 5000 IU per day. The adverse effects of over consumption of vitamin D may include, anorexia, weight loss, polyuria, and heart arrhythmias. More seriously, it can also raise blood levels of calcium, which leads to vascular and tissue calcification, with subsequent damage to the heart, blood vessels, and kidneys. However, these symptoms are mostly found in high supplemented diets ranging upwards of 10,000 IU per day, for a long period of time. The highest natural sources include, cod liver oil (1300 IU/3 oz. ), swordfish, (550 IU/3 oz.) salmon (450 IU/3 oz.) tuna (150 IU/ 3 oz.) and milk (120 IU/cup) *3 oz. of fish is roughly the size of a deck of cards. As with all supplements, consult your doctor or a registered dietitian before taking anything besides food. This entry was posted in Nutrition, Supplements and tagged fish oil, health, multivitamin, nutrition, vitamin d, vitamins by Mike Gorski. Bookmark the permalink. Supplements can be a really valuable part of someones diet, I think it’s probably really common that the average American is rushed and stressed and probably skips a few meals or skips cooking something healthy and just gets take-out. For people like that supplements can be extremely useful, as you say and I do agree they should only be used to supplement someones actual diet. But undoubtedly I’m sure they have value for others who have less than stellar diets also. great article. I only take bcaa’s after my training! Thanks! Only BCAA’s? The research is still shaky on BCAA’s being ingested orally. The research that shows their strong anabolic properties (especially leucine) is mostly via intravenous supplementation in high trauma ER patients. If I had to pick one supplement post workout it would be a Whey Protein Powder. Full Amino Acid profile, and extra calories from the complete proteins that won’t add to your waste line!